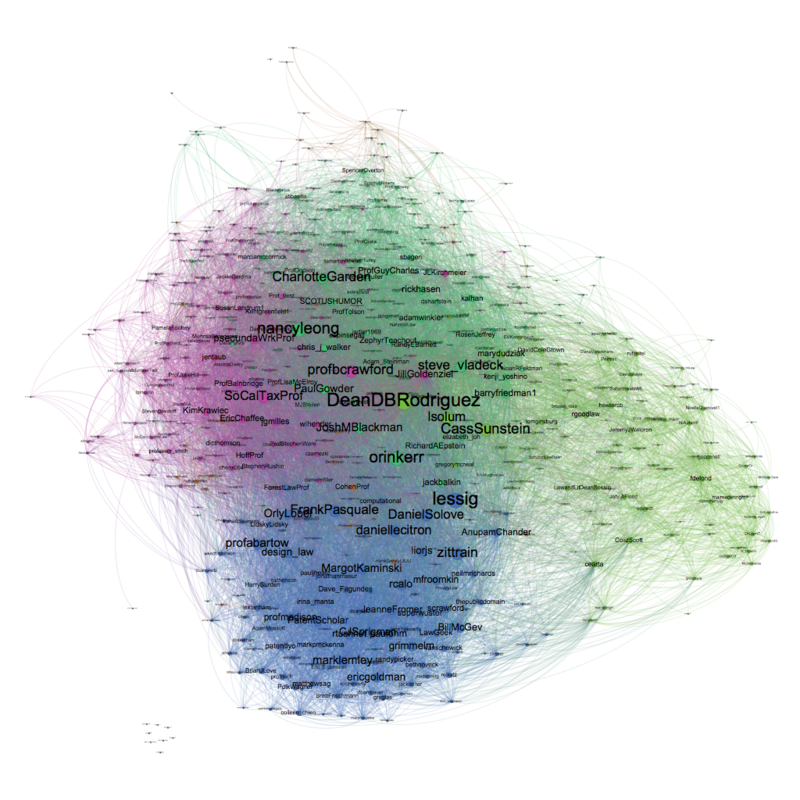 The Faculty Lounge: Ryan Whalen's "Law Prof Twitter Network"
Very cool picture. On a related note, is there a recent census of law professor bloggers? Orin Kerr is the center of the UNIVERSE! I am not aware of a recent census of law professor bloggers. I'll bet that landscape has changed dramatically, too. Has anyone updated my law professor blog census from 2009? Maybe I will update it this summer. As Bridget notes, I'm sure that the landscape has changed a lot in the past 5 years.